Finely ground beef with cream cheese added and packed with spices. A delicious unforgettable childhood memory. 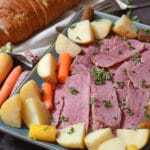 This is not a recipe for the American corned beef, this is a recipe for what we use to call in Egypt “Bolobeef”, the name that came from the French word “bouilli” (boiled). 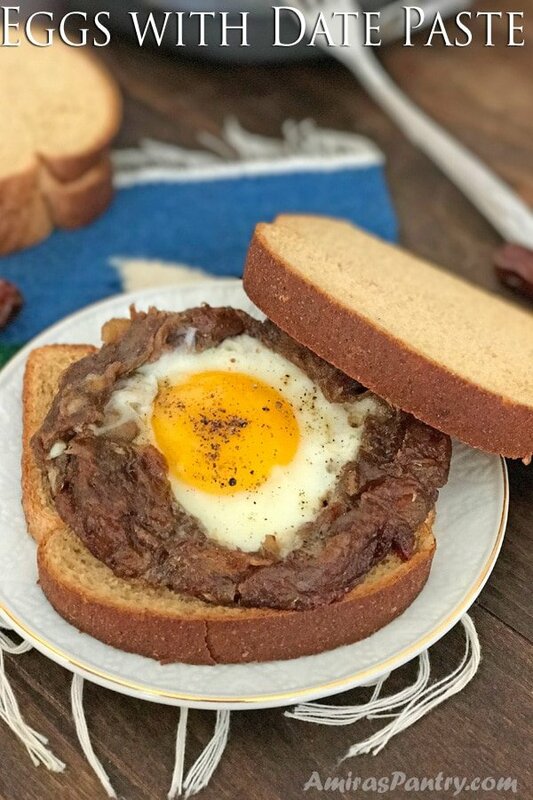 Mom used to crumble canned corned beef with eggs or with diced potatoes and some onions. Unfortunately, in the late 80s of the last century, many people died in Egypt because of this product. Due to corruption, many – already expired- corned beef cans got smuggled into the country and when people consumed them they were deadly poisoned. Hence the reputation of canned corned beef went down the drain and everybody freaked out including my mom. 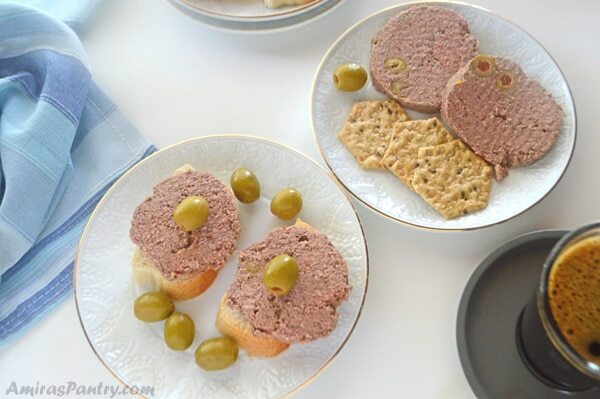 You’ll not believe that until today many people refuse to eat canned corned beef. 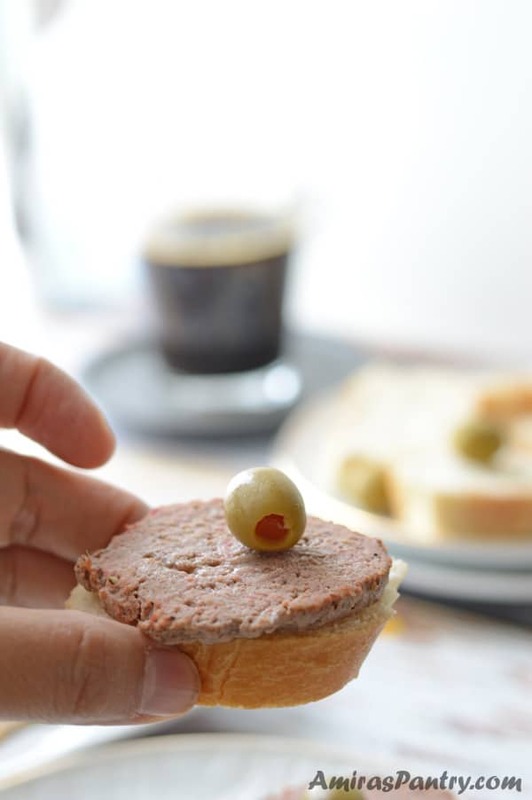 It was one of our (me and my sisters) favorite meals for breakfast and we were so sad when this happened, gradually we forgot about it and it was replaced by Pastirma, Halawa, Agwa sandwiches and many other breakfast/supper items. Until, one day I spotted this memory filled can in the Middle Eastern store. I was so happy to get it and make it for my kids. 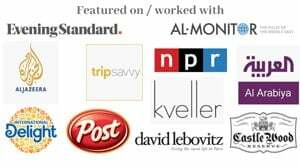 A year later I discovered it in Walmart, King soopers and other stores as well. The taste is not quite the same as I remember it, ours had much flavors like cumin or may be my mom used to put cumin in it I do not know for sure. 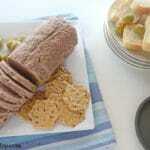 Corned beef is usually made with ground beef cooked with gelatin. I have seen many recipes calling for fat as well. Instead of using fat, some recipes used cream cheese and I liked the idea. I flavored mine as close as possible to what I remember and it turned out beautiful and tasty. So, let’s dive into the recipe. 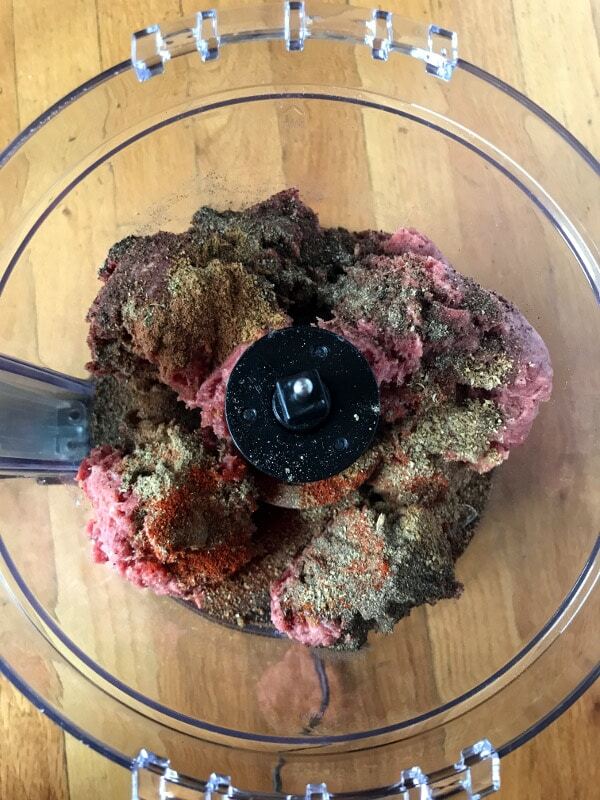 In the food processor, we’ll combine meat and all the spices, pulse until well mixed. Add oil, cream cheese and eggs then pulse to combine. You’ll get a mixture looks like the above photo. 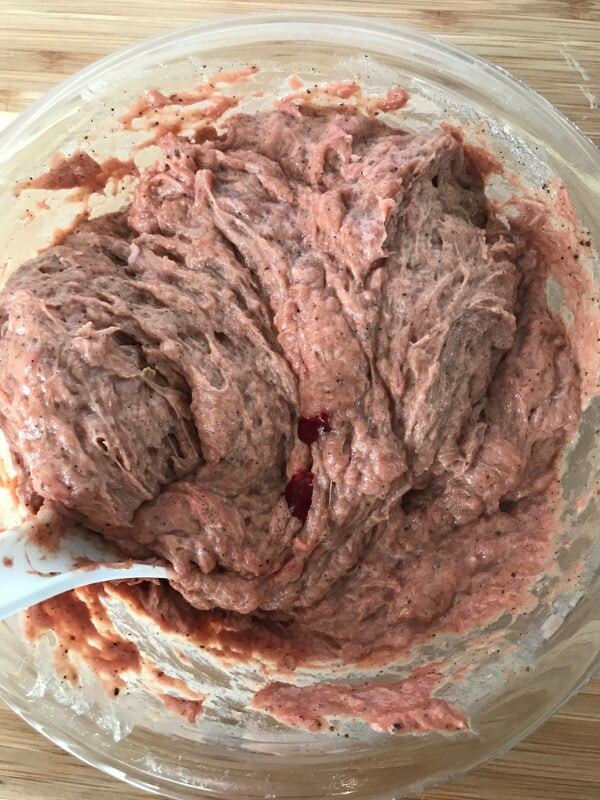 You can add a couple drops of red food coloring and mix well. This is completely optional and does not affect the taste at all. 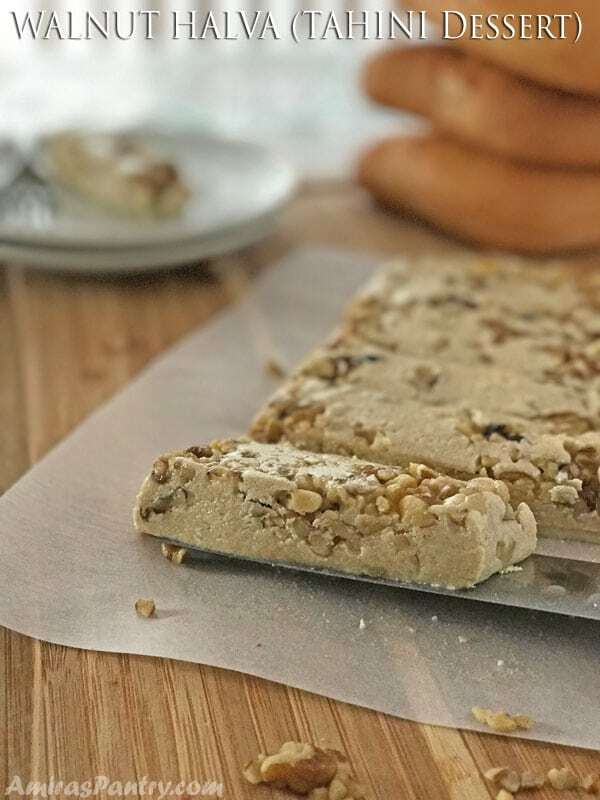 Pour into a loaf pan that is lined with heat resistant plastic wrap or an oven bag just anything to withstand heat. Add olives at this stage. Wrap tightly as much as you can and wrap again in another piece of plastic. Finally double wrap in foil securing the ends, On your stovetop boil enough water to cover the log, then reduce heat put the log into the boiling water. Cover and simmer for the next 70 minutes up to an hour and a half until it is firm. This needs to cool down and stay the night in the refrigerator to firm up more. 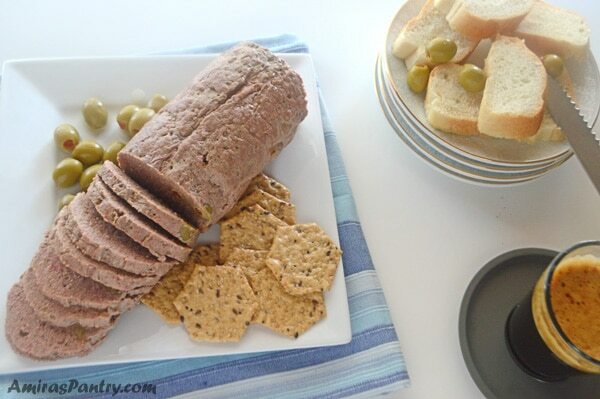 Can be sliced and enjoyed with crackers and cheese or do as my mom used to do. Crumble and fry in a skillet along with eggs or potato. SO tasty. 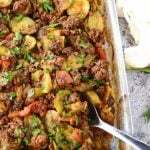 1 lb minced meat used 80/20. In your food processor add meat and all the spices until the coriander, pulse to mix well. 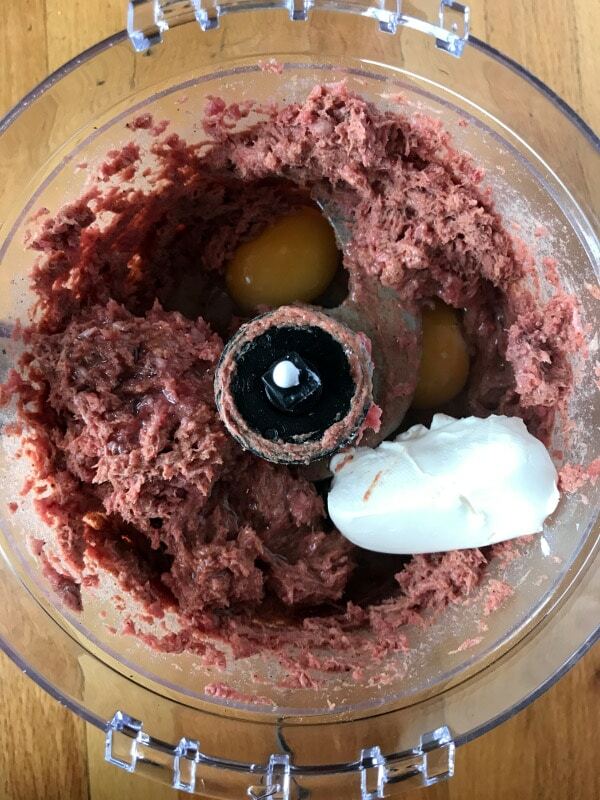 Add the eggs, oil and cream cheese then mix again. 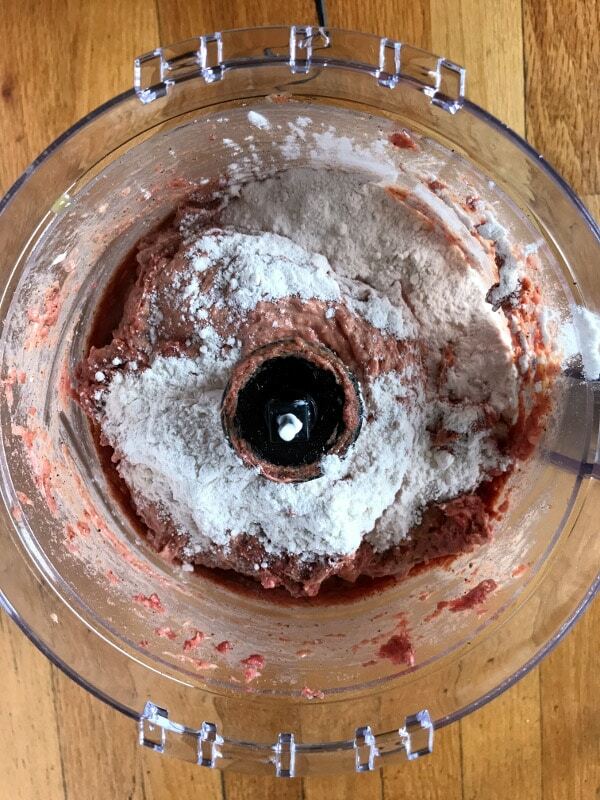 Finally add the flour and mix to form a paste. Line a loaf pan with heat resistant plastic wrap or a cut up oven bag. Pour the mixture, arrange some green olives is using and wrap to form a log. 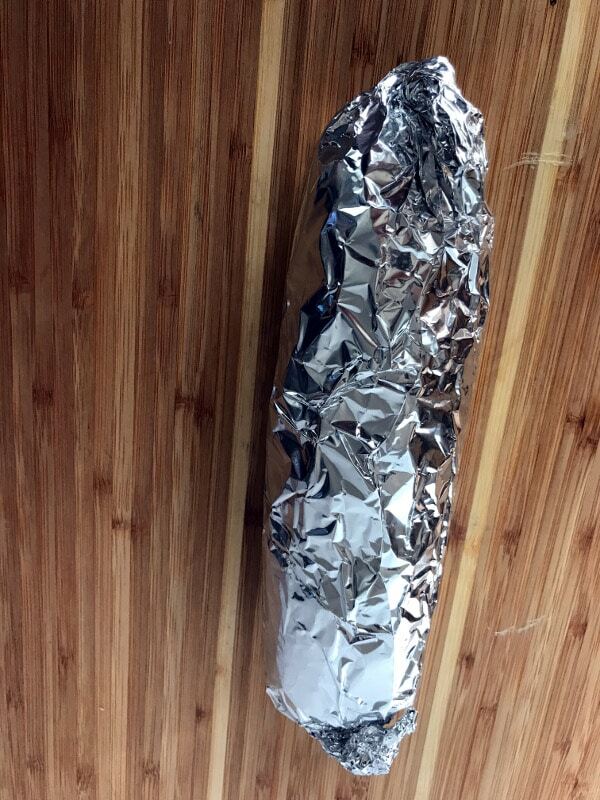 Double wrap in foil and secure ends well. In a pot boil enough water to cover the log, put the meat log in and reduce heat, cover and let it simmer for 70-90 minutes until firm. 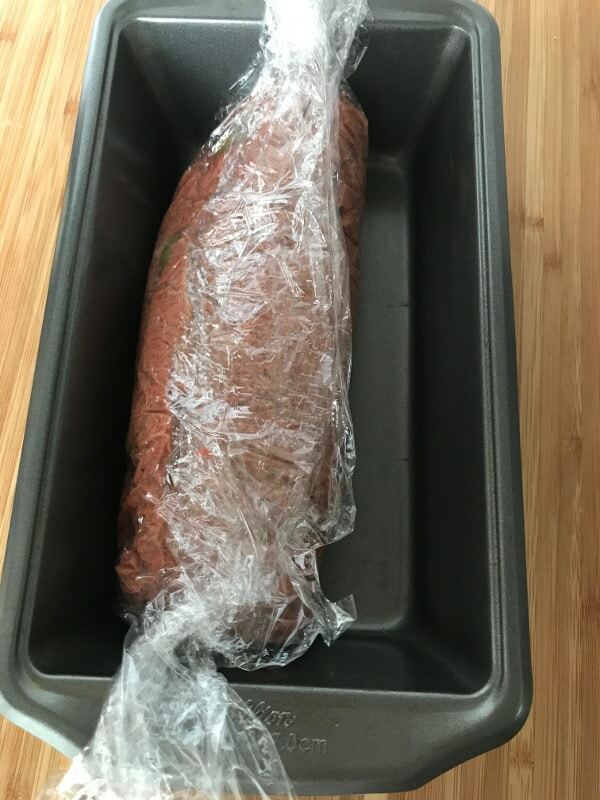 Let it cool completely wrapped then pop into the fridge overnight to set completely. When ready to serve, unwrap, slice and serve cold or crumble and fry with eggs or pottos. 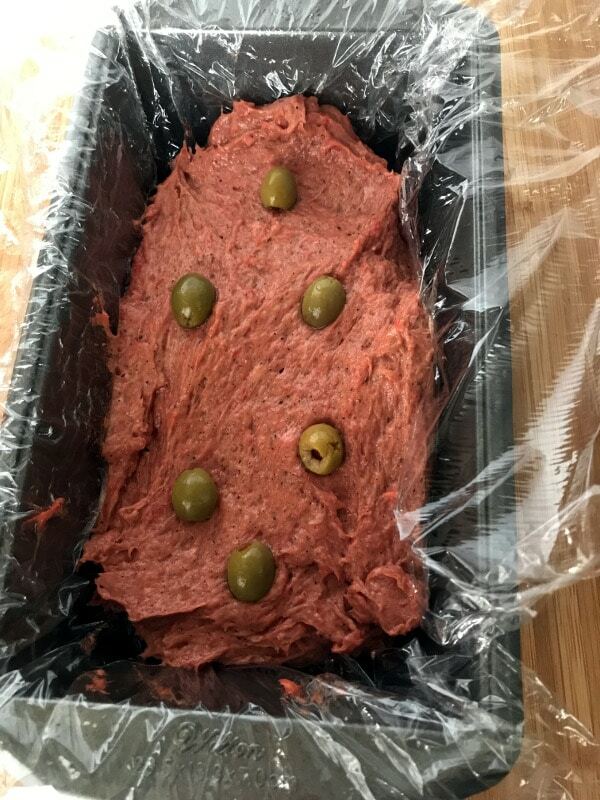 Hi Amira, I must admit that I never eat canned meat or fish, because you don’t know what they’ve put into the food, but your recipe looks like it’s definitely worth a try- especially with those olives. 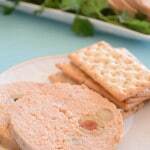 I also like the idea of serving it on a cracker as an hors d’oeurvre- yum! I’m so excited to try this! 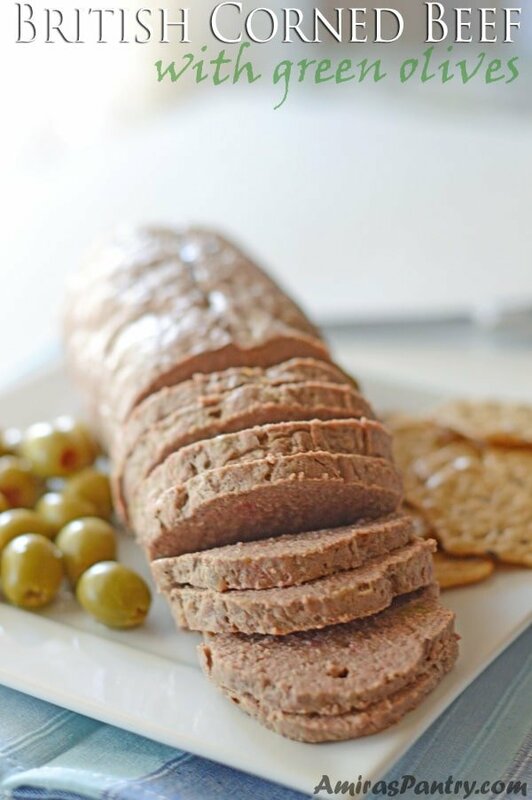 I love corned beef and homemade WITH cream cheese…well, you can’t go wrong with that. As always, thanks for your recipes. Sharifa, thank you so much for your sweet words. Do you have fond memories of this can as well❤️❤️? I hope you’ll like it please do come back and tell me how it went.